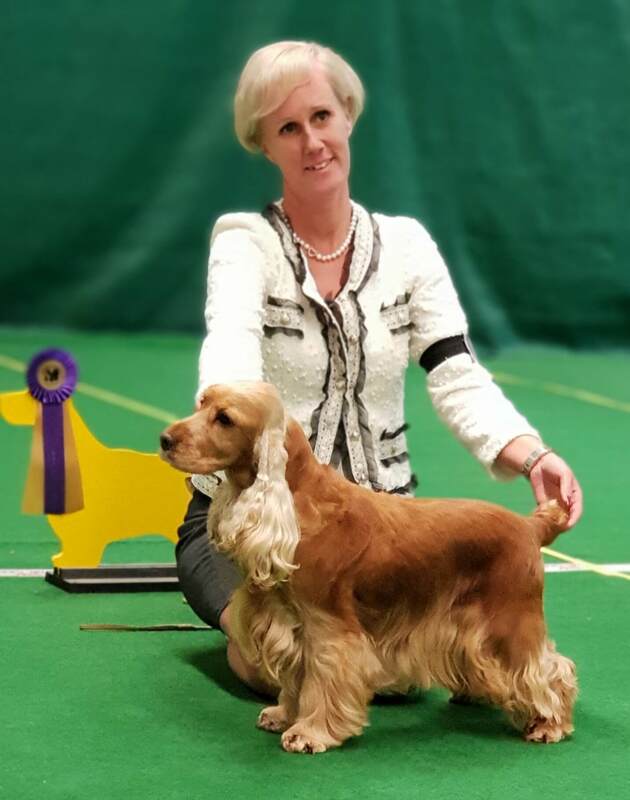 Carol West som dömde hanhundar skriver: ” I would like to say that it was an honour and a privilege to be invited to Sweden to judge at the 40th Anniversary Show. 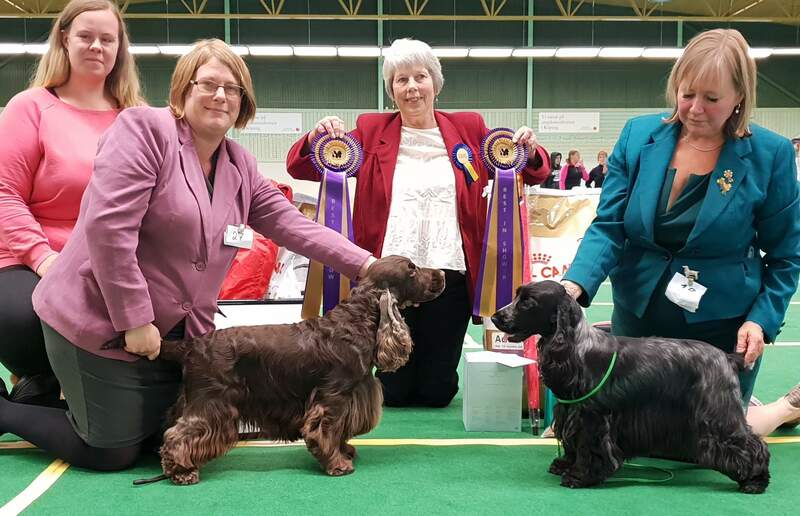 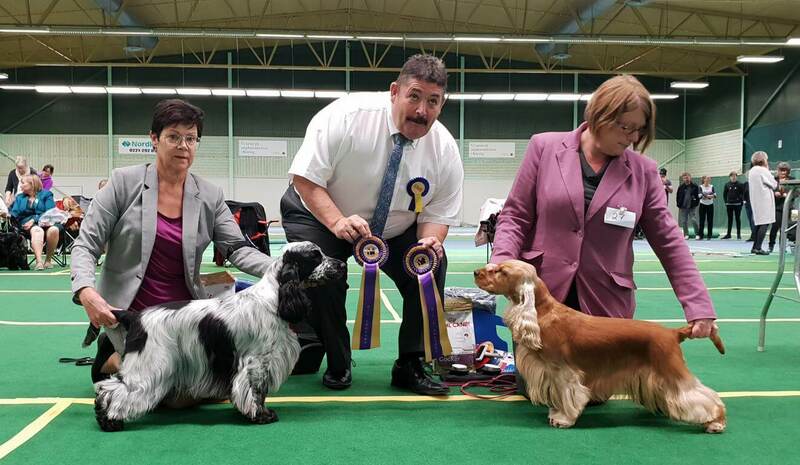 I was most impressed with the overall quality of the dogs and by the sporting manner that the exhibitors accepted my decisions. 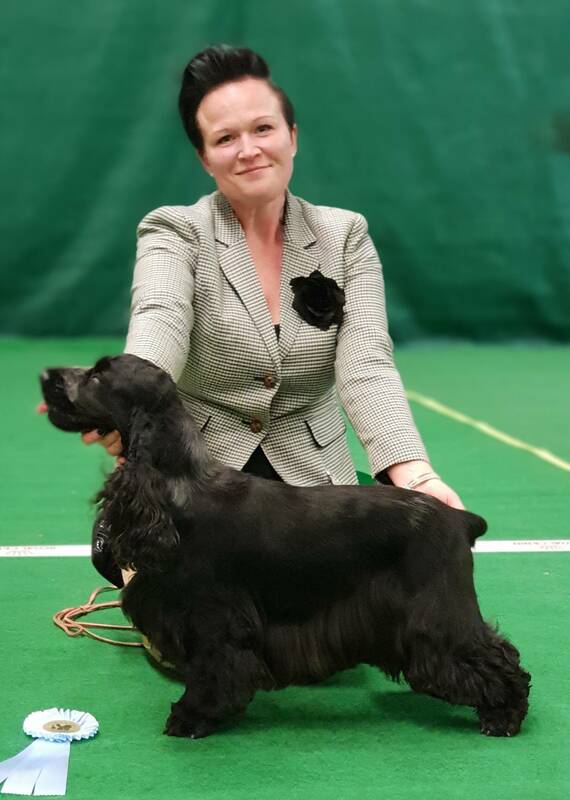 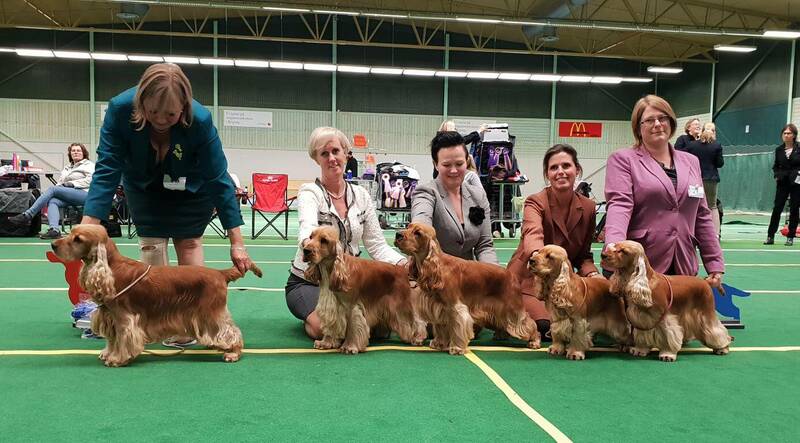 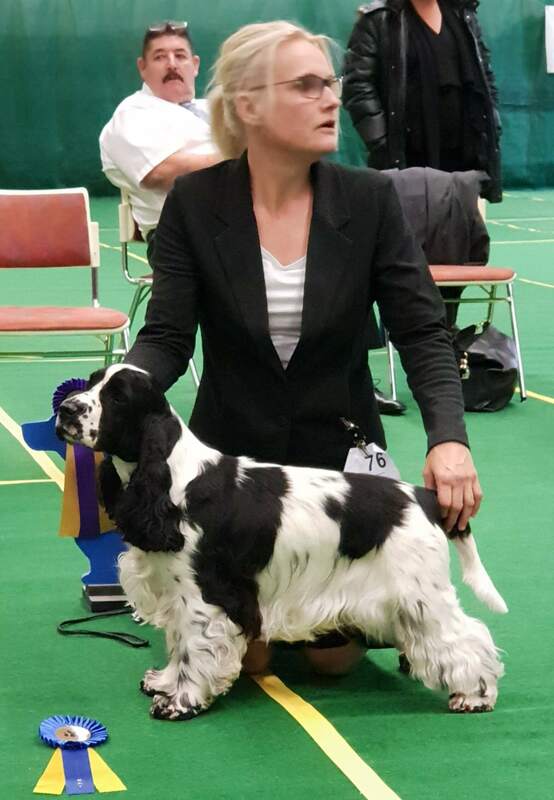 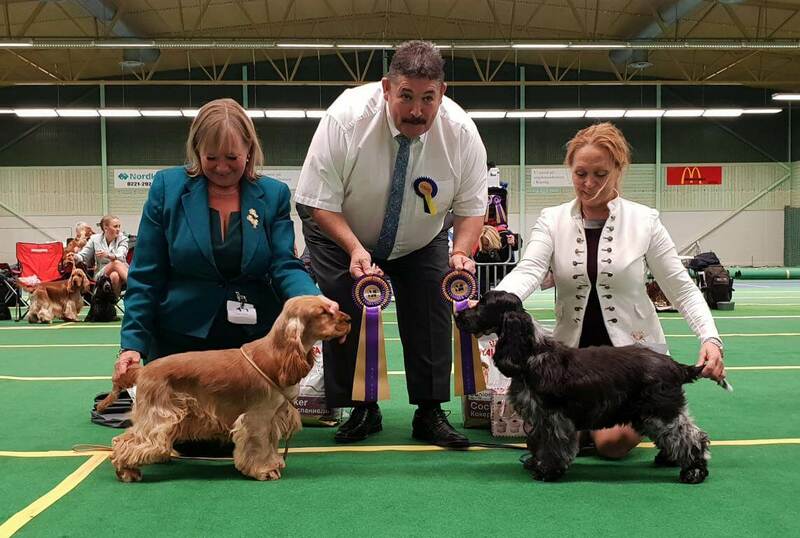 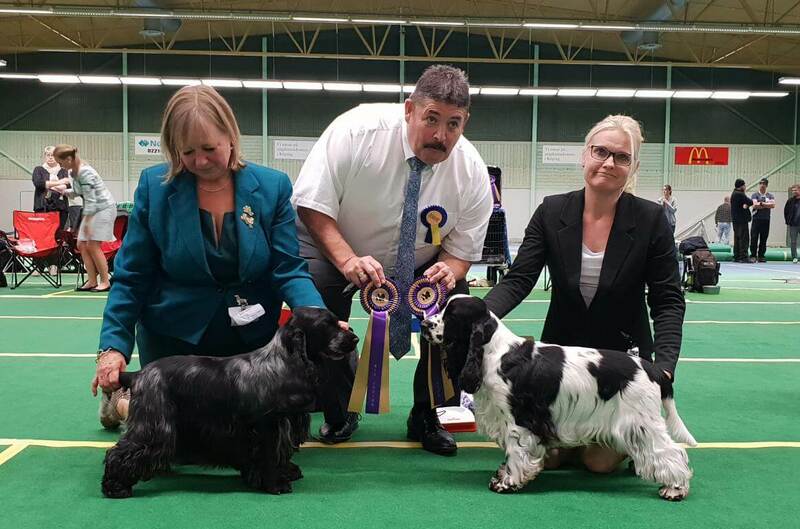 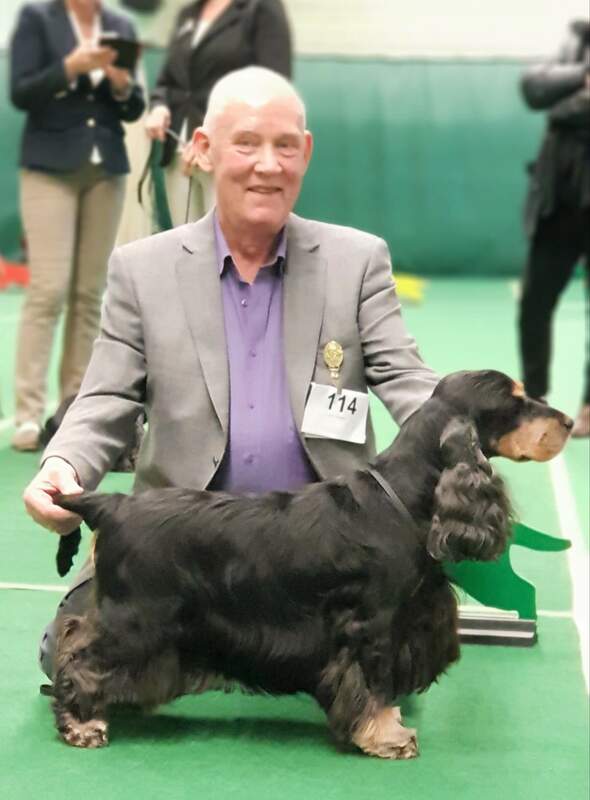 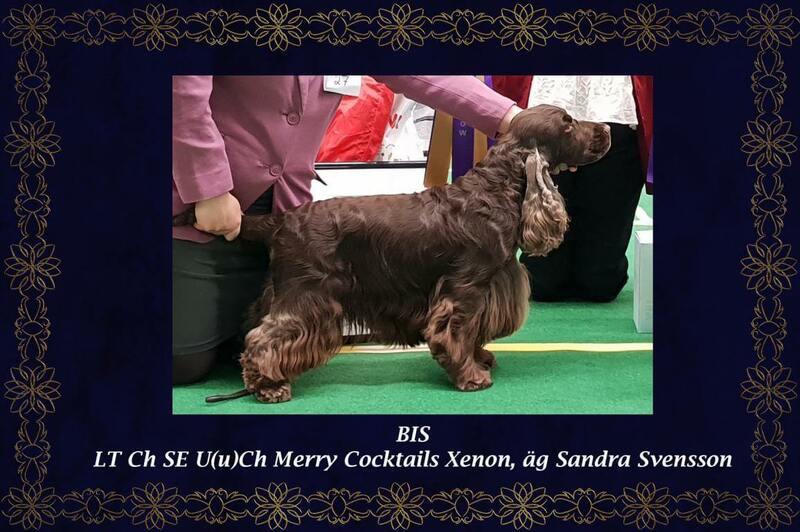 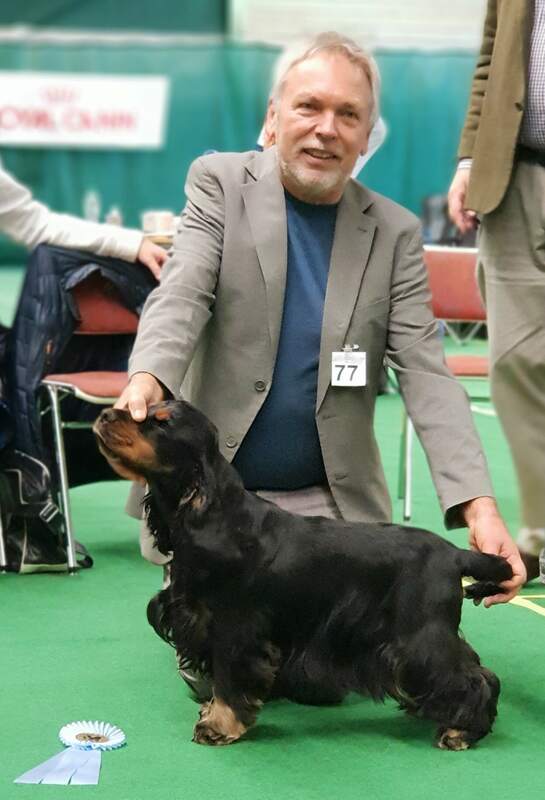 In general the short, square, well balanced and sound moving cocker was very much in evidence, and the quality in the younger classes augers well for the future. 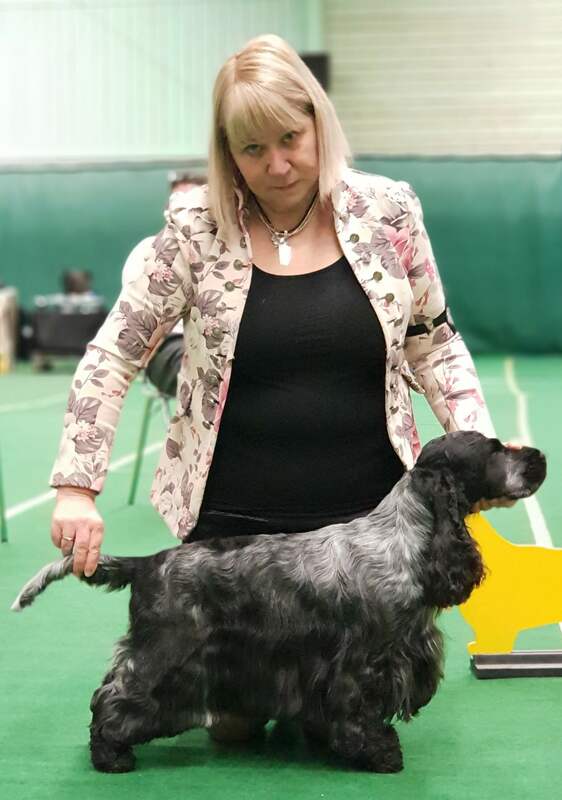 Here in England we are finding a couple of faults creeping in, in all colours length of back is becoming far too long taking away that short square outline required, i.e. 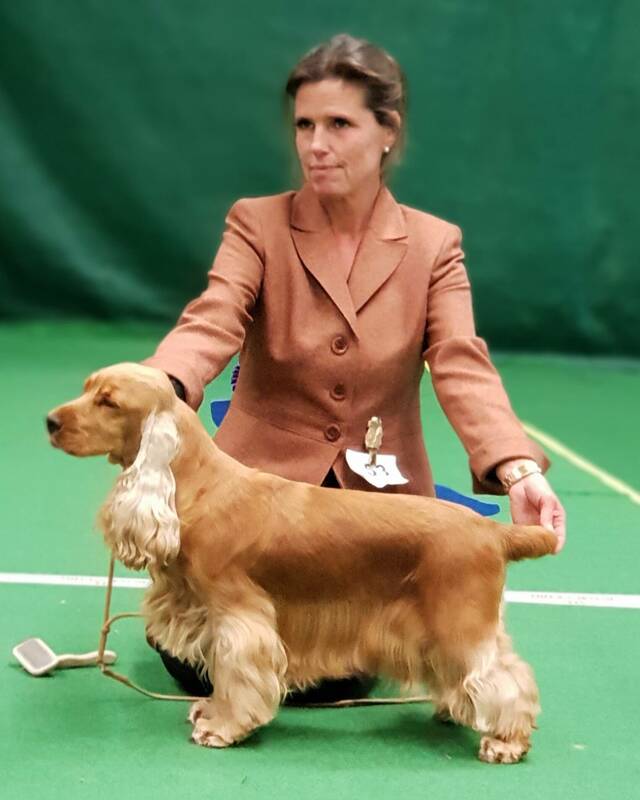 withers to ground and withers to root of tail being equal measurements. 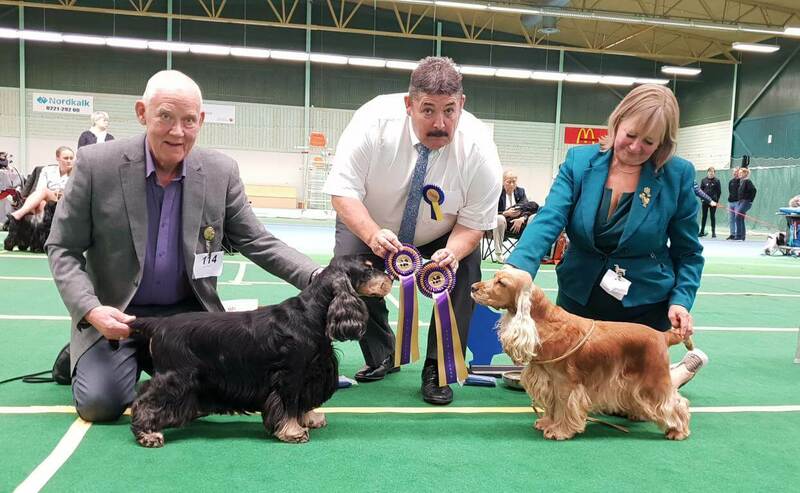 The other fault, mainly in the solids is heavy untypical domed skulls with no work or chiselling. 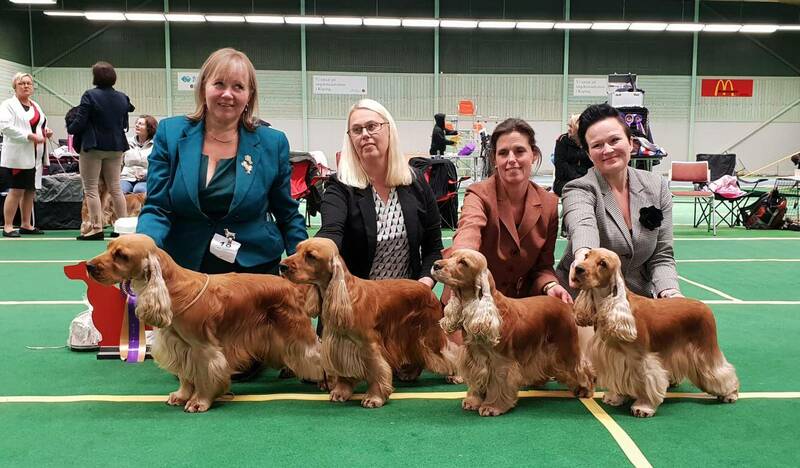 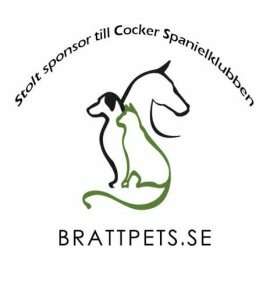 I am pleased to say that there were very few dogs in Sweden showing these negative traits, although I did notice one or two of the particolours showing white haw which is not ideal as it takes away that melting cocker expression.